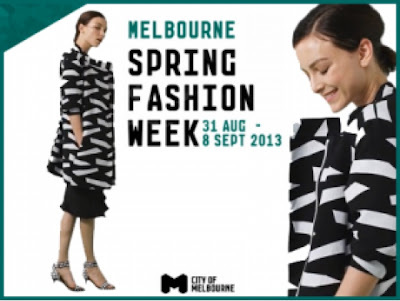 Spring has finally sprung and in Melbourne that means only one thing - Melbourne Spring Fashion Week. Fashion fever takes over City Square and Swanston Street is filled with well-dressed people in towering heels tottering down the street. As you know, I'm a contributor to a fantastic online magazine called Onya Magazine. This year, I'm lucky enough to be attending five shows for them - Designer Runway 1, RMIT Student Runway, Wittner Shoes Runway, Designer Runway 2 and the Resort Show. My reviews and pieces on these shows will all be on Onya, so I thought I'd use my blog to share my outfits (so much pressure on deciding what to wear to these events!) and the behind the scenes snaps. 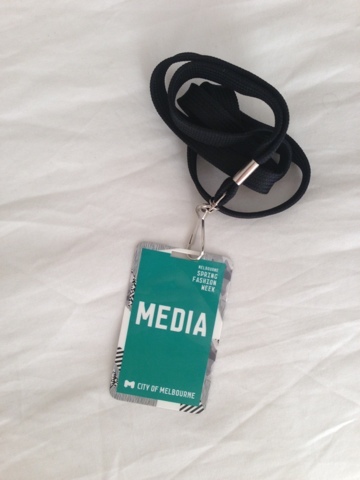 Before I had the opportunity to attend any fashion shows, I was always highly curious about what they were like. Hopefully if any of you feel the same, I can satisfy that curiosity! One tip - they rarely ever start on time. Still, I suppose that's why they call it fashionably late! I hope you enjoy these posts. I'll be posting links to my Onya reviews as they go up. If you've got anything specific you want to know/ask, just leave me a comment!